Mr James WH Brown BSc(Hons), MSc. James Brown is Senior Research Assistant within Engineering and Physical Sciences at the University of Southampton. Following an honours degree in Software Engineering, he worked as a freelancer developing motorsport-based data analysis software. 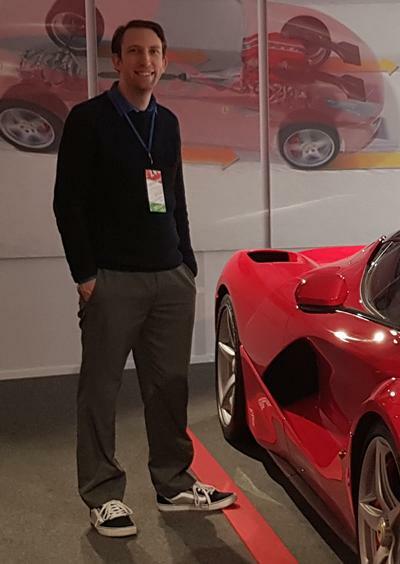 Returning to study, he completed an MSc in Software Engineering Management, further freelancing involved the development of suspension analysis and optimisation software and some consultancy work for a motor racing simulator company. He is currently undertaking a PhD whilst at Southampton. He has worked at the University of Southampton from March 2016 and is currently involved in a project with Jaguar Land Rover and Cambridge University. The Hi:DAV project examines the design of human interactions with autonomous vehicles, it is funded by Jaguar Land Rover and the EPSRC. Part of his work involves the development and running of the Southampton University Driving Simulator (SUDS). He was responsible for writing software to integrate the current Land Rover Discovery Sport into the driving simulator laboratory via its controller area network. He has a passion for motorsport and his PhD is focused on addressing the human factors issues involved with complex in-cockpit racing driver interfaces, specifically wheel mounted controls. Motorsport, vehicle dynamics, vehicle ergonomics and driver informational systems. Brown, J., Stanton, N., & Revell, K. (2019). A review of the physical, psychological and psychophysiological effects of motorsport on drivers and their potential influences on cockpit interface design. In N. Stanton (Ed. ), Advances in Human Aspects of Transportation: AHFE 2018 (pp. 514-522). (Advances in Intelligent Systems and Computing; Vol. 786). Springer, Cham. Brown, J., Stanton, N., & Revell, K. (2018). The usability of F1 interfaces. Paper presented at CIEHR (Chartered Institute of Ergonomics and Human Factors) Conference, .